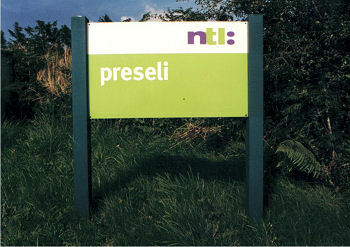 Preseli, or if you're not Welsh... Presely. 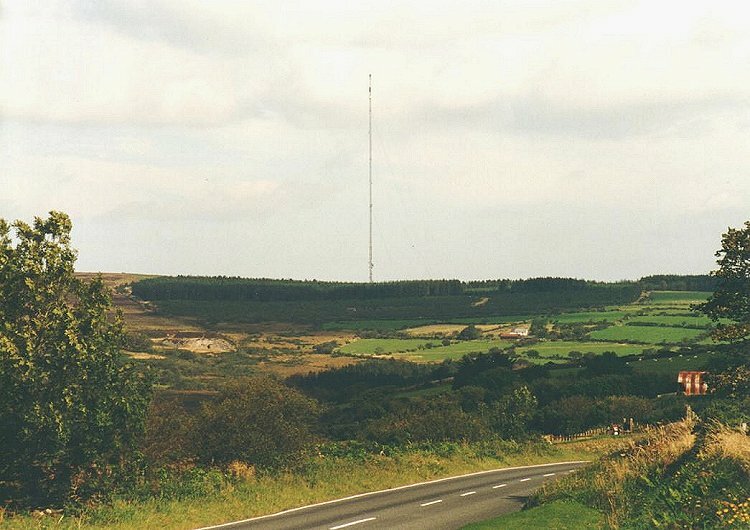 As well as TV, Classic FM is broadcast from this site, but all other network FM radio services for this area come from the nearby Haverfordwest site. 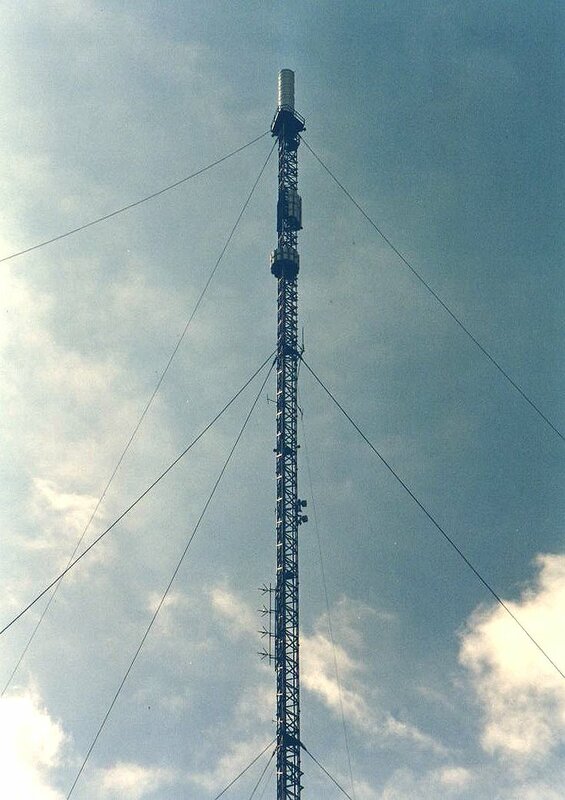 Originally built by the ITA, bringing 405-line ITV on VHF channel 8, from 14th September 1962. Closed January 1985. 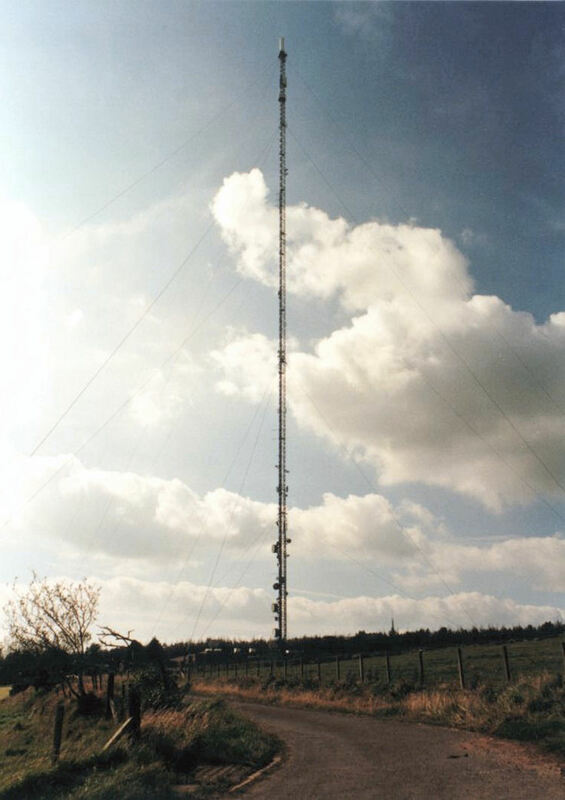 ITV on UHF entered service on 16th August 1973, BBC 1 & 2 from 1st September 1973, S4C from the launch on 1st November 1982, and Channel 5, also from the launch on 30th March 1997. DTT was added in early 1999. DSO was on 19th August and 16th September 2009. Classic FM was added on 17th September 1996, Real Radio (105.7 MHz), from 9th September 2003. 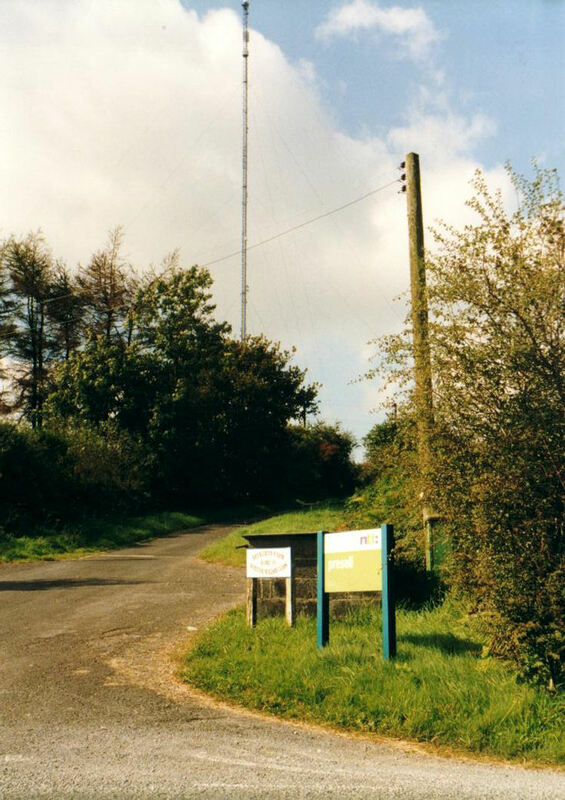 DAB service dates: Digital One & BBC, 21st April 2006; Mid & West Wales, 30th August 2013. Below the main UHF cylinder are two sets of UHF panels. 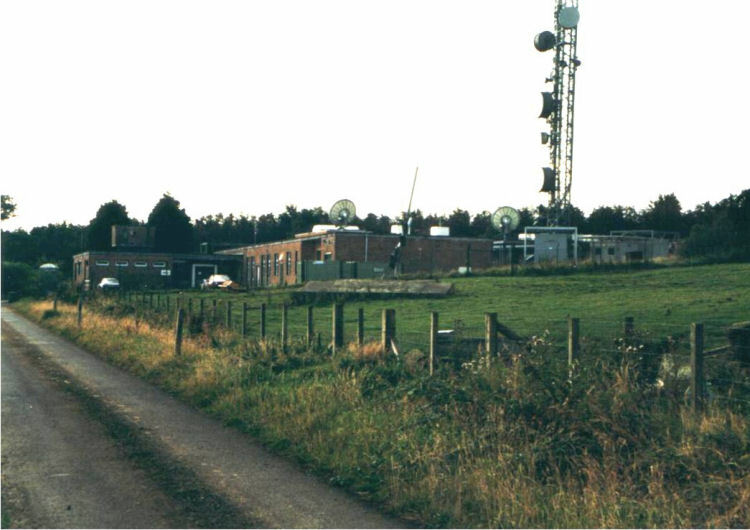 The upper set (220m) transmitted analogue Channel 5, the lower (205m) transmitted pre DSO, DTT multiplexes A, B, C & D. Multiplexes 1 & 2 used the main cylinder (239m). 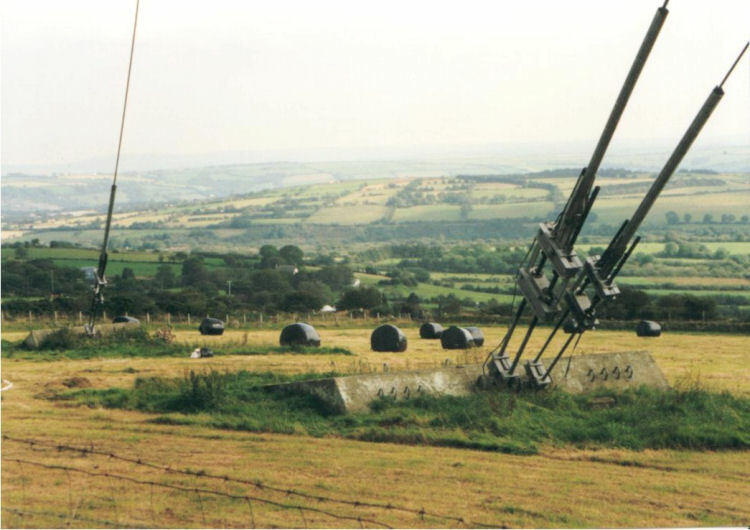 Lower, on the left are the band II Siras (160m), used by Classic FM and Real Radio.